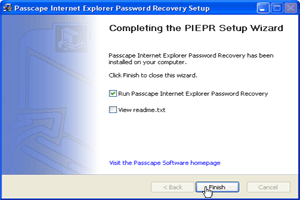 Follow these easy steps to download and install the program to your PC. 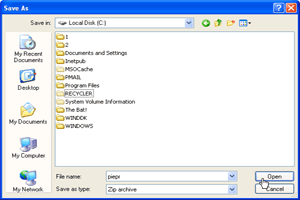 1 Select a program you need and click download link. 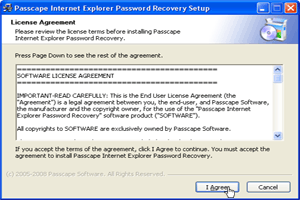 Confirm downloading by pressing Save button. 3 Double-click Open upon successful download. 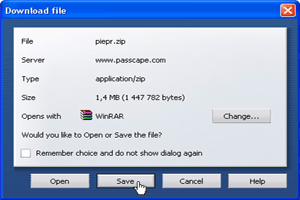 4 Open zip archive using Compressed (zipped) Folders, if no programs were associated with *.zip files. 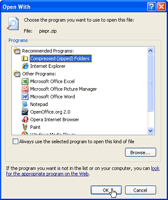 5 Double-click on setup.exe icon and select Run button to launch the program setup wizard. 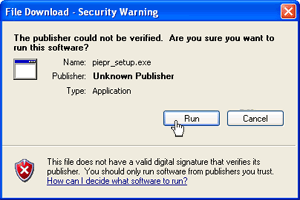 6 If Unknown publisher security warning appears, click Run to proceed. 7 Follow the setup wizard steps. 8 Set on Run ... check-box and click Finish to launch the program.